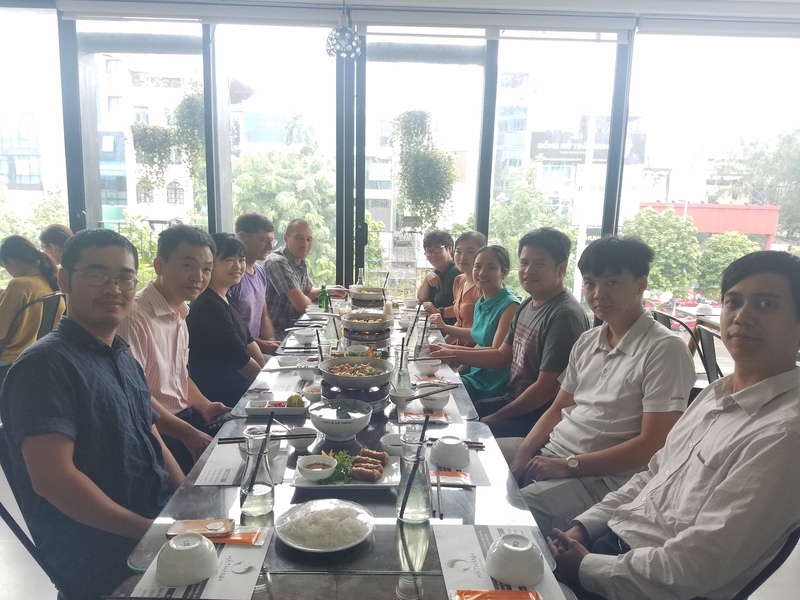 After hard working for Bachelor and Master thesis defenses, ICTLab and ICT department staffs and directors share an enjoyable and memorable lunch together to celebrate the teaching and research outcomes we have during the previous year and expect new and interesting things for the new year 2018-2019. 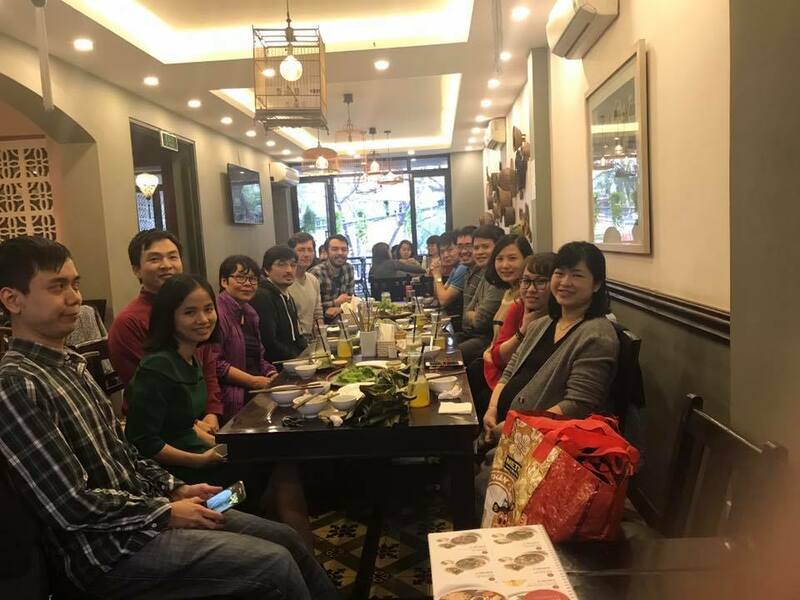 See below a nice and warm picture of us together during the party. 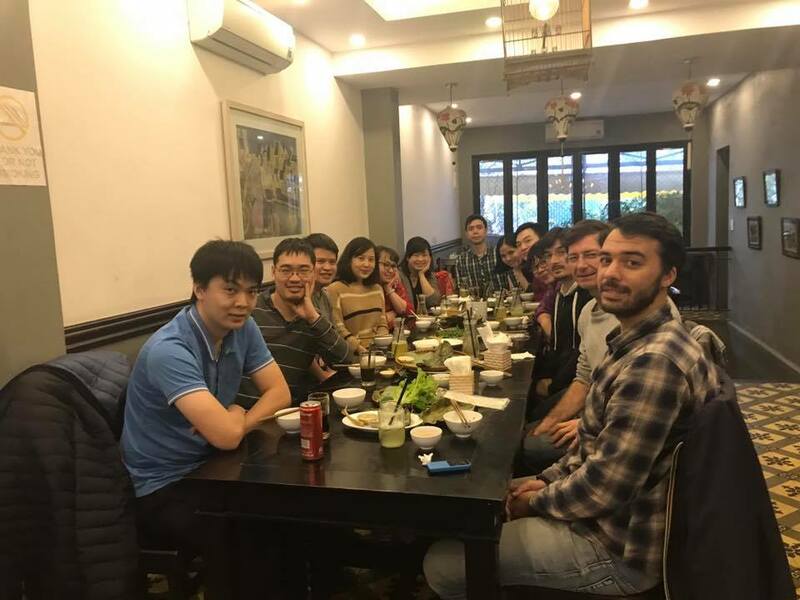 To celebrate new lunar year 2018, ICTLab team shared a nice and enjoyable lunch together. 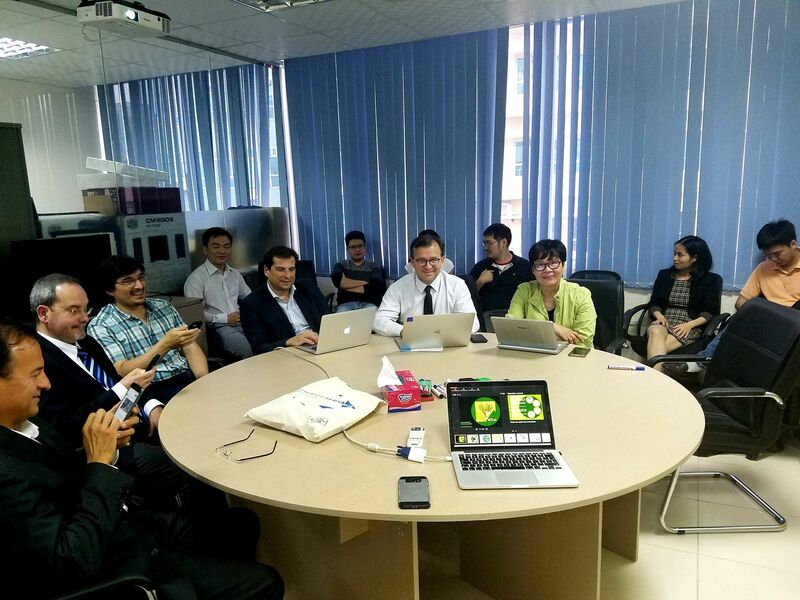 In the context of the SWARMS project (see the figure) of our ICTLab of USTH, we are looking for ICT bachelor students who prefers to do his/her final internship in the ICTLab. If you get interested, please feel free to contact the supervisors mentioned in the subjects via their email or directly at ICTLab. We will study your application and interviews will be held to select the appropriate candidates. 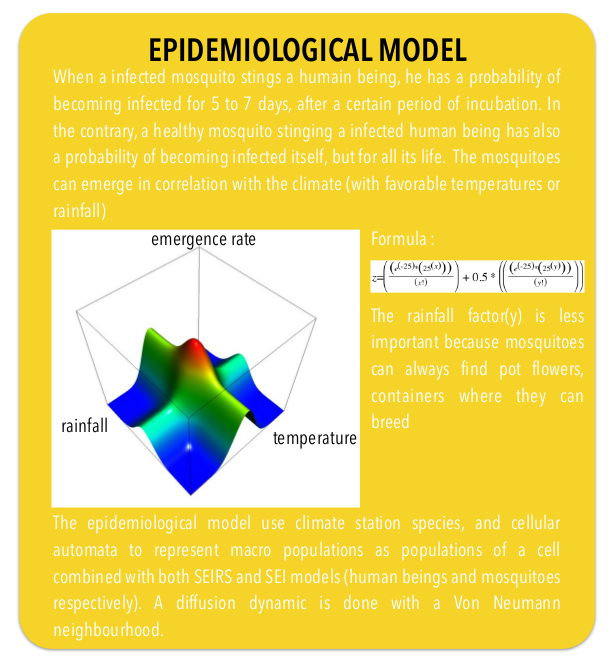 Abstract: The aim of this project is to design a model which can represent the dynamics of spreading of the dengue fever in indirect correlation with the climate and considering healthcare policies and the economic mobility of different countries. 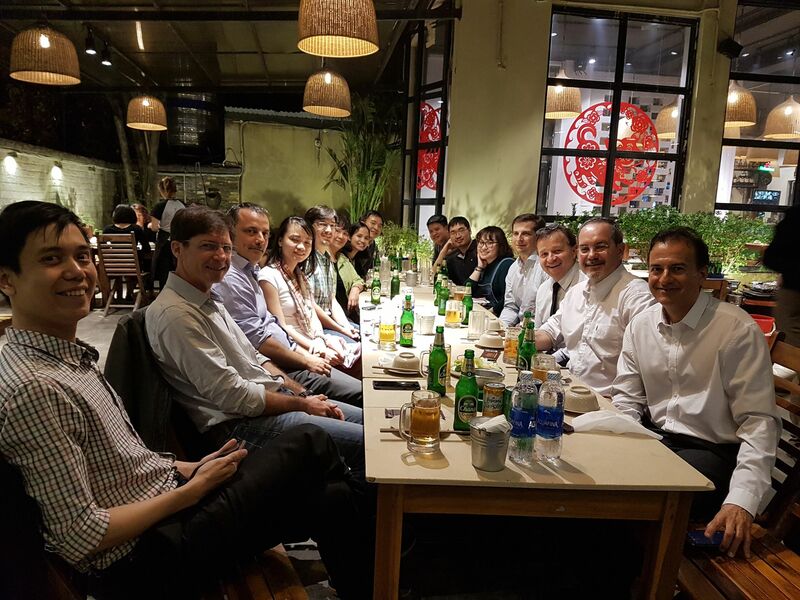 The final result of the model is to show for the concerned countries that the limitation of spreading is possible thanks to policies, but also the combination, communication, synchronisation of members of a policy is at least as crucial as policy itself. 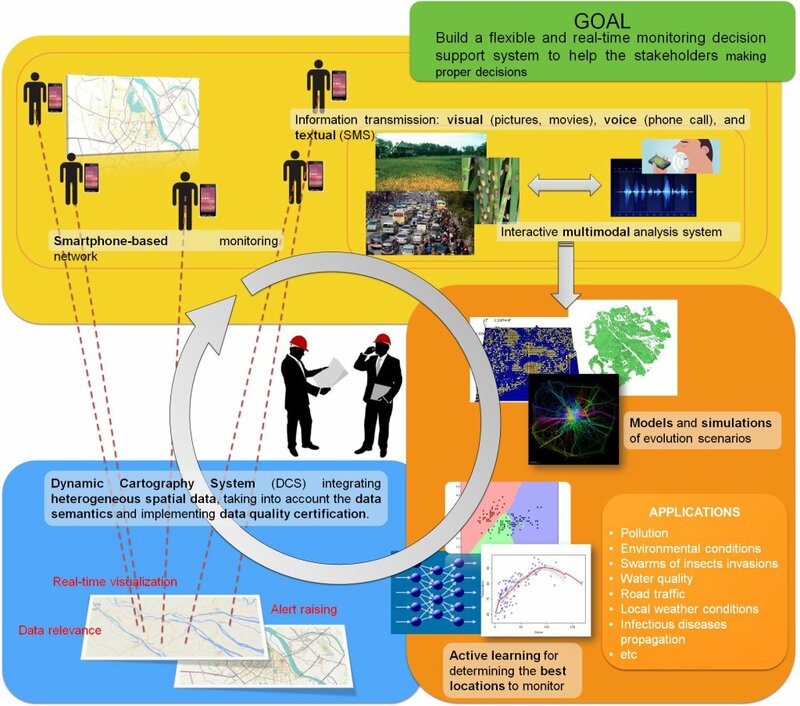 The final model of the project is made of sub-models : an epidemiological theoretic model to study the dynamic of the disease, a mobility model to study the economic mobility of countries and a coupling model adding control policies.